Mark, DMA, is widely regarded as one of Canada’s leading interpreters of classical and contemporary music. As a soloist, chamber musician, improvisor, interdisciplinary artist, and as flutist of the internationally lauded Aventa Ensemble, McGregor has performed extensively throughout North and South America, Europe, Israel, and Australasia, including appearances at Festival Montréal-Nouvelles Musique, Music Gallery (Toronto), Vancouver New Music Festival, Modulus Festival (Music on Main, Vancouver), New Works Calgary, Athelas New Music Festival (Copenhagen), the Internationale A•DEvantgarde-Festival (Munich), the Melos-Ethos International Festival of Contemporary Music (Bratislava), and Núcleo Música Nova’s 2016 International Symposium of New Music in Curitiba, Brazil. Mark has commissioned and premiered numerous works. He has released numerous CDs and won nominations of the Western Canadian Music Awards. Mark has studied at the University of British Columbia, le Conservatoire de Musique de Montréal, the University of Sydney (Australia) and the Stockhausen Courses in Kuerten, Germany. 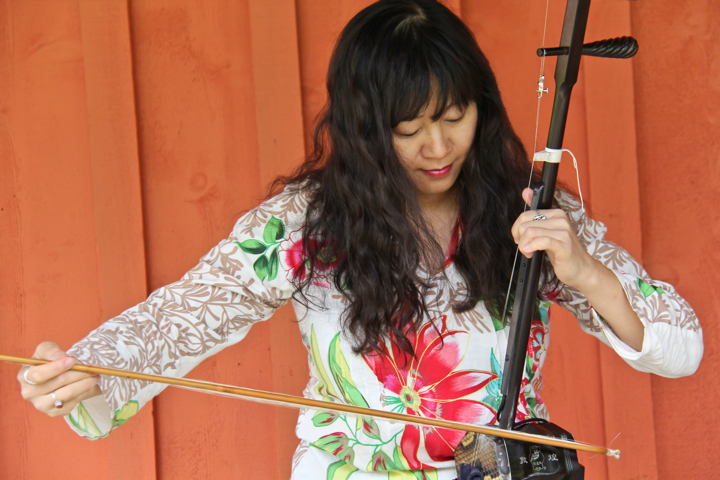 Nicole Li began studying the erhu at the age of six. She started to train vigorously when she entered the Wuhan Conservatory at 11 and won the second place in the Daily Art Competition in China in 2002. In 2008, she graduated from the Shanghai Conservatory of Music, under the guidance of erhu master Mr. Wang Yongde. In 2011, she gave her first Vancouver erhu recital. In 2012, Nicole teamed up with UBC School of Music’s Corey Hamm to start a new project ‘Piano Erhu Project’ (PEP). The duo has premiered numerous Canadian compositions, released 2 CDs, and toured in China. 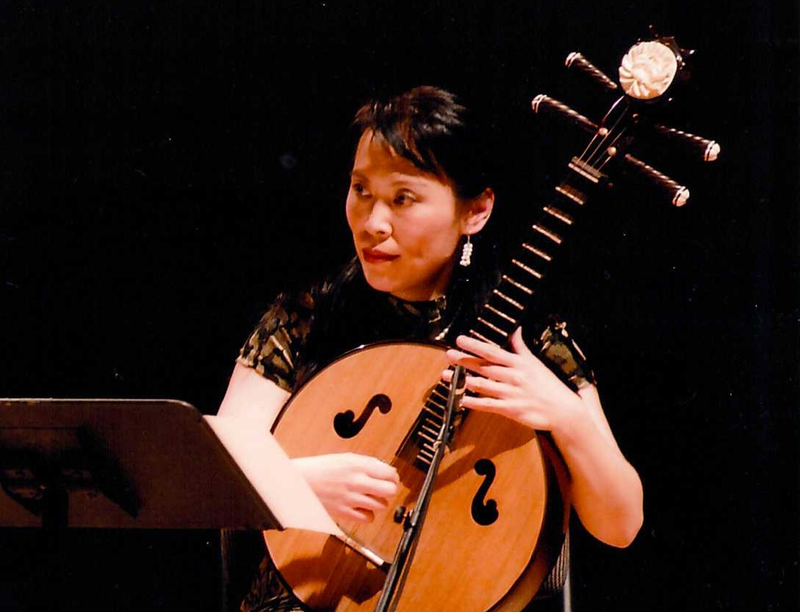 Nicole Ge Li is currently Concert Master of the B.C. Chinese Orchestra and soloist with the BC Chinese Music Ensemble. Nicole teaches the erhu at VSO School of Music and at JW Music Studio in Richmond. 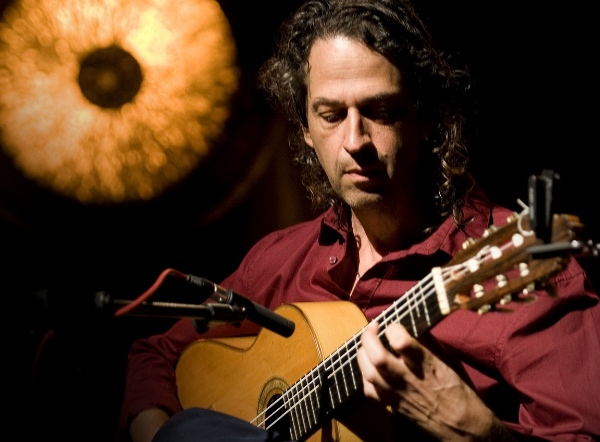 Itamar is an internationally renowned composer, guitarist and pianist. To capture the essence of Itamar’s music is to be taken on a journey where different cultures meet in harmony. Itamar blends the delicateness of Middle Eastern music, the freedom found in Jazz, and the passion of Flamenco, creating a unique sound, all of his own. Recipient of the 2014 ACUM Prize for Special Achievement in Jazz & the lucrative 2014 Landau Prize, Itamar has shared the stage with such musicians as Omar Faruk Tekbilek, Tomatito, Avishai Cohen, Jean-Louis Matinier, Zohar Fresco, and others. Itamar has released 2 CDs with his quartet ‘The Adama Ensemble’ : “Desert Song” (2006) & “Hommage” (2010). His most recent release, “New Dawn” (2013) is a duet with Yshai Afterman (percussion), with special guest Antonio Serrano (harmonica). Itamar performs internationally and gives workshops and masterclasses to teach his unique approach to music and guitar playing. In 2014/15, Itamar performed in Canada, USA, Germany, Holland, Austria, Cyprus, Israel, India, Tunisia and Colombia. He is on faculty at the VSO school of music in Vancouver BC. 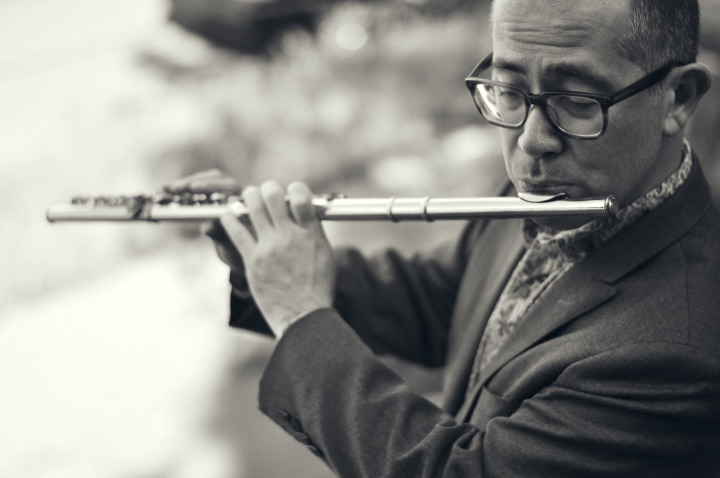 Crossing between Canada’s new music, improvised music and world music scenes, Lan is the artistic director of Orchid Ensemble, Sound of Dragon Society, and Proliferasian. Lan has appeared as soloist/composer with Orchestre Metropolitain, Vancouver Symphony, Symphony Nova Scotia, Turning Point Ensemble, Upstream Ensemble (Halifax), Vancouver Inter-Cultural Orchestra, Atlas Ensemble (Amsterdam & Helsinki), and Little Giant Chinese Chamber Orchestra (Taipei). Lan’s music embodies the rhythmic intricacy from Indian influence, the sense of breath/space from Chinese tradition, and many years of experiences in interpreting contemporary compositions. Lan has released numerous CDs, winning an International Independent Music Awards and multiple nominations by JUNO, Canadian Independent Music Awards, Canadian Folk Music Awards, and Western Canadian Music Awards. Originally from Taiwan, Lan has studied graphic score with Barry Guy, improvisation with Mary Oliver, Hindustani music with Kala Ramnath, and Uyghur music with Abdukerim Osman, in addition to her studies of Chinese music since a young age. Originally from Portugal, Marina performs in diverse genres, including baroque music, new music, improvisation, and interdisciplinary works that cross genre boundaries. She is currently exploring how electronics intersect with traditional cello techniques. 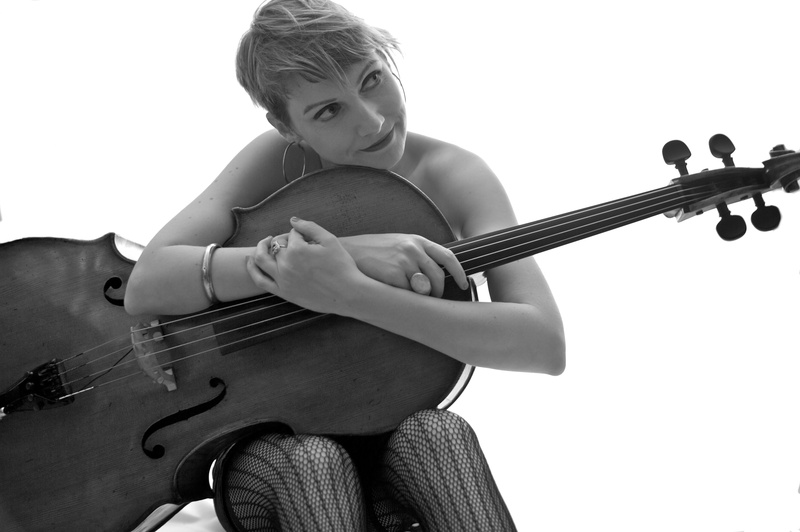 Marina is the principal cellist of the Vancouver Island Symphony, while also performing with Vancouver New Music, Early Music Vancouver, Sound of Dragon Ensemble, Turning Point Ensemble, Plastic Acid Orchestra, Redshift Music Society, Vancouver Pro Music, the Okanagan and Kamloops symphonies, and pop stars including Michael Bublé, Rod Stewart, and Mariah Carey. Marina has received the City of Vancouver Mayor’s Arts Award for emerging artist in Music and a Jessie award for outstanding artistic achievement. She was the featured artist at Pro Musica’s 2017 Sonic Boom Music Festival. She is the artistic director of NOVO Ensemble. Marina received a masters degree in Literature and Performance from the University of Western Ontario. A multiple award winner, Charlie masters a wide range of Chinese wind instruments. 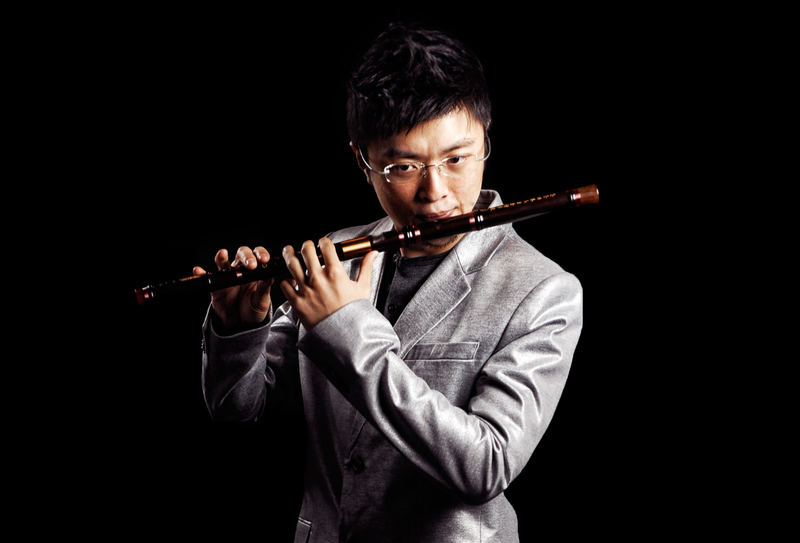 Charlie is the principal dizi player of the BC Chinese Music Orchestra, a member of the Vancouver Inter-Cultural Orchestra, and the co-founder of Pentatonics. As a soloist, Charlie has performed numerous dizi concerti and has performed on a number of CDs. In 2011, he premiered concerto grosso“Tsu-ur Song” (潮歌) by Dr. Ning Wang (王寧) with the Nu: BC and the BC Chinese Music Ensemble in a Canada-China collaboration. In the same year Charlie also performed Steve Chatman’s “Earth Songs” with Vancouver Symphony Orchestra. Charlie studied the dizi with Jian Min Pan (潘建明) in Vancouver and Wei-Yu Tan (譚謂裕) in China. Zhimin was born in Beijing, China. She started learning the pipa at an early age. While studying as a student, she was chosen to perform for foreign states’ guests and leaders. Yu joined the China Broadcast Performing Arts Troupe and became very active in Beijing. Yu also performed in the Asian Arts Festival in Hong Kong and Japan. Later, she went to Japan again to organize a Chinese Folkloric Troupe. Yu was recognized as an ambassador of Chinese folk arts in Japan and often appeared on NHK television. Later, she immigrated to Canada where she continues her musical career. She plays in many groups and has performed in major cities in Canada and the United States and had concert tours in Britain, France, Holland, Hawaii, Indonesia, Philippines, Malaysia, and Hong Kong. She has performed in festivals worldwide and appeared on many CDs and broadcast recordings for CBC radio and television, BBC, Songlines, and others. Jonathan combines his western percussion background with a fascination for Asian traditions to create a unique sound palette incorporating a myriad of instruments, techniques and styles. Active in genres from orchestral music to New Music, and world music, he has premiered over seventy chamber works with ensembles such as Vancouver New Music, The Fringe Group, Four Gallon Drum, Orchid Ensemble, and Ensemble Symposium. 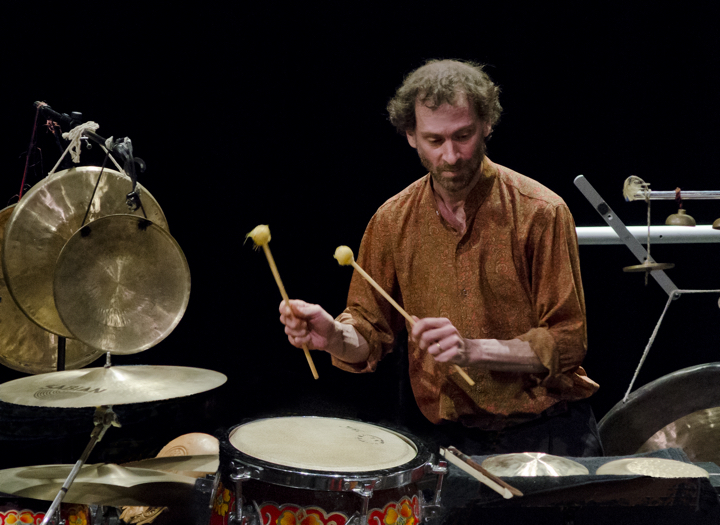 The principal percussionist with the Vancouver Island Symphony Orchestra (VISO) and a member of the Vancouver Inter-Cultural Orchestra (VICO), Jonathan has performed with numerous orchestras including Vancouver, Victoria, National Ballet and CBC Radio Orchestra. Jonathan has been a soloist with VISO, VICO, Taiwan’s Little Giant Chinese Chamber Orchestra, and Kamloops Symphony Orchestra performing percussion concerti by Tan Dun (Water Concerto) and Jin Zhang (No Rush). Jonathan studied percussion at the University of Ottawa and University of British Columbia. He has studied Chinese percussion in Beijing, Arabic percussion in Cairo, Carnatic rhythm in South India, flamenco music in Spain, and Gnawa rhythms in Morocco.